It’s that wonderful time of year and we should all be celebrating. 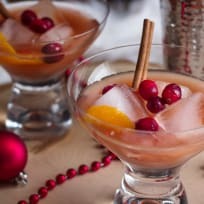 When I think of a holiday cocktail, I think of a Bellini. 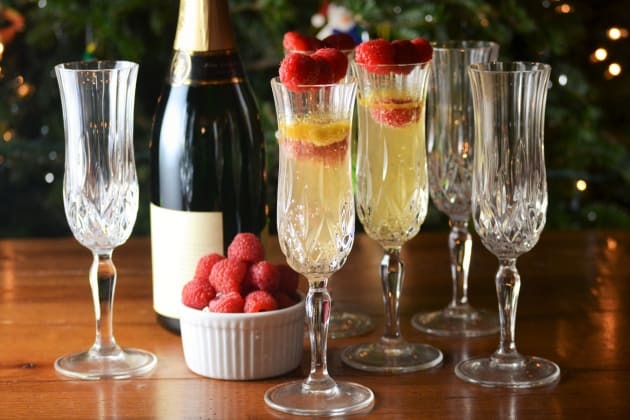 There is something special about sparkling wine and I always like to include it on my holiday cocktail menu. 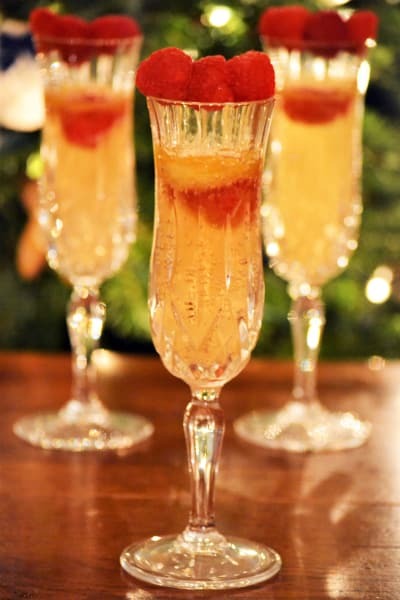 This raspberry mango Bellini is perfect to serve on Christmas or at your New Year’s Eve party. This simple but elegant cocktail gets its color from a little sorbet and fresh raspberries. No fancy bartending skills are required. A spoon of sorbet and a raspberry goes in a glass. 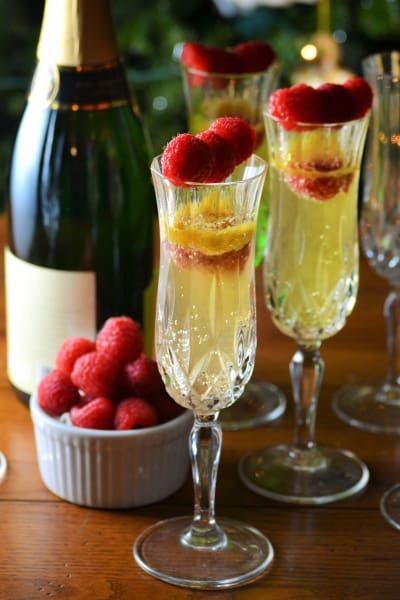 It gets topped with champagne or prosecco and garnished with fresh raspberries. How easy is that? It’s the perfect cocktail to serve to your guests without a lot of work involved. 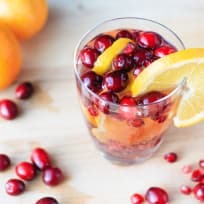 Not only is this drink perfect for an evening party, it works well at any holiday brunch. It’s light and your guests will love sipping on it while mingling with friends and family. It will also make any buffet table look special. I especially like the raspberry mango combination. You can always substitute a different flavor sorbet if mango is not your thing or if it is not available. But I keep a stash of mango sorbet in my freezer to make these drinks. Champagne, sparkling wine or Prosecco works well for this cocktail. Prosecco is a little less expensive than champagne. 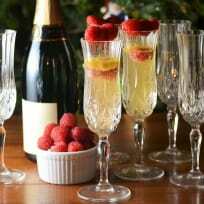 If you are having a big party, you will save yourself some money by using Prosecco especially if you are buying several bottles. I prefer a dry Prosecco as the sorbet and raspberries will sweeten the cocktail. If you have a guest that wants to refrain from alcohol, a sparkling cider also works well to make a non-alcoholic version. Make this sparkling cocktail at your next holiday party. You will love it so much that it might become your year round favorite cocktail too. 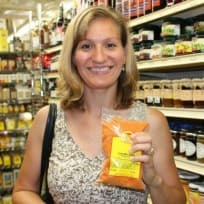 My post is the last of our 12 days of cocktails here on Food Fanatic. 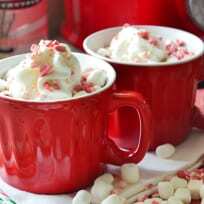 Check them out, as I’m sure you will find several that you’d like to make for your holiday celebrations. Happy holidays! Place 1 tablespoon of mango sorbet in the bottom of 8 champagne flutes. Add a raspberry to the bottom of each. Pour the Prosecco in each flute.